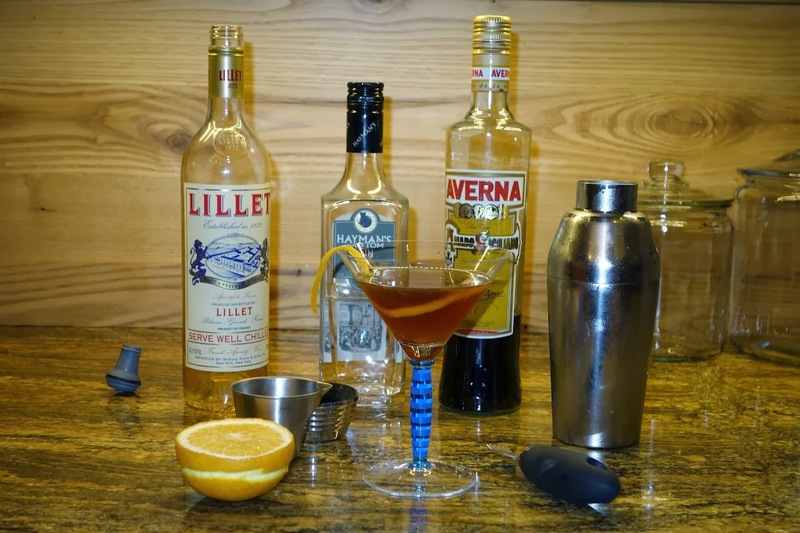 I invented this drink a couple of months ago, when I was experimenting again with Perfect Martini variations (see En Banc for another). 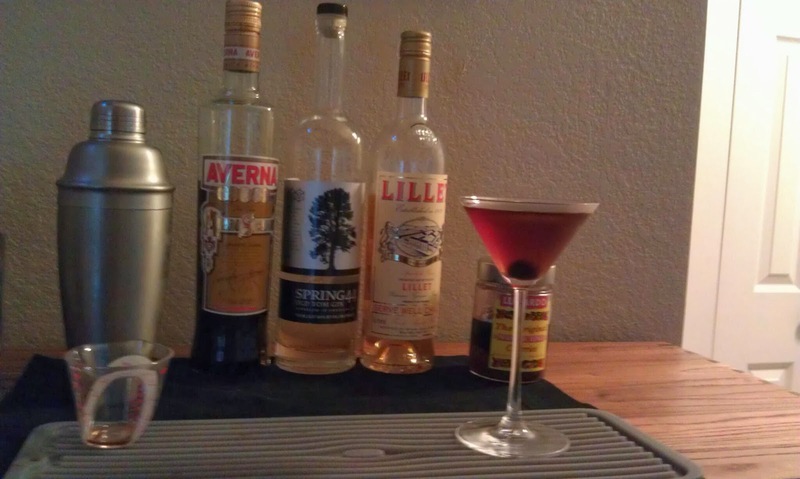 I was trying to come up with something that those who disdain vermouth could enjoy, but without the sweetness of the En Banc. This cocktail was the result. At first I was thinking of it purely as substitution ingredients, but Will encouraged me to view it as a completely new cocktail, and I have to agree, it really does have its own special synthesis. The Old Tom gin is important for that effect – the juniper complements the minerals of the Lillet and the bittersweet of the Amaro. Will also tells me he did some experimentation on the ratios and found the quantities below to be best. Mix ingredients over ice in a shaker and shake or stir vigorously. 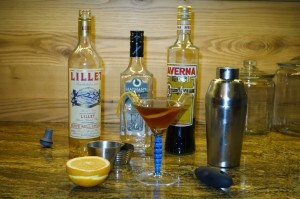 Strain into a cold cocktail glass, and add a garnish: I prefer a Luxardo cherry, while Will favors an orange twist. I’ve included both our pictures below. Riffing on this drink, which is great. 2oz Old Tom, 1/2oz Averna, 1/4oz St. Germain, 2 dsh Orange Bitters. Excellent.